Okay, this has gotten downright silly. 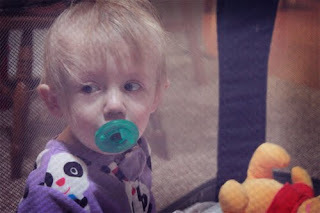 My sweet daughter has had at least 10 ear infections since starting daycare in August. 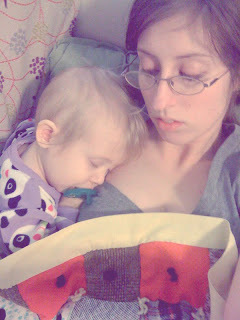 Today she was incredibly sick. So even though she was at the doctor's office on Friday, we went back today, only to find out that Miss Violet has a perforated eardrum!!!!! She is such a trooper, but she has been lying in her crib just staring at the ceiling. She is in so much pain. The only plus side to this is that we get lots of cuddle time. It is an early bedtime for us tonight. Nathan Violet, and the dogs are already tucked in.